Bluestone Lane is very excited to announce that we are now sourcing and roasting all of our coffee from our new roastery in DUMBO Brooklyn. Bringing our coffee roasting in-house now gives us a significant amount of control over the entire coffee supply chain and lets us continue to produce world class coffee experiences. The Bluestone Lane Roastery – located at 77 Sands St, Brooklyn NY – sits within a beautiful second floor 10,000 sq. ft space alongside the Manhattan Bridge. Our coffee is roasted on a Loring Smart Roast s35 Kestrel which offers the most efficient and environmentally friendly roasting on the market. The Kestrel uses an innovative hot air re-circulation design to create coffee that is cleaner, sweeter, and has more flavor development than a traditional drum roaster. This allows us to create some incredibly versatile roast profiles for our delicious house blends and single-origin offerings. Our Coffee Lab, curated by Coffee Director Jai Lott, is equipped with the same high-quality espresso machines and grinders installed in our cafes. We are proud to feature La Marzocco Linea PB espresso machines which are an industry leader in espresso machines. The La Marzocco has unrivaled temperature stability, is loved by baristas for its consistent results, and is even leading the industry in sustainability with new eco-friendly design features. 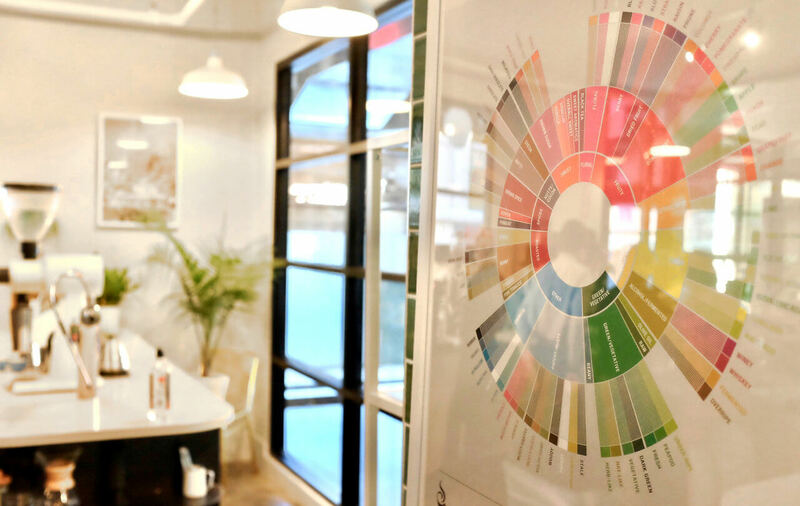 Tooled with the pinnacle of coffee roasting technology and a unique Coffee Lab, the new facility offers our expert baristas continual training and experience in one of the world’s leading coffee culture hubs. It is with great pride that Bluestone Lane can now offer our passion and years of experience to our peers for use in their own locations. Find out more on the Wholesale Coffee Program page.